Ingredient spawn density: 1 move. First break chocolates as many as you can. Then feed candy frog and move it to top right or top left of the board to break liquorice locks, waffles and to bring down ingredients. 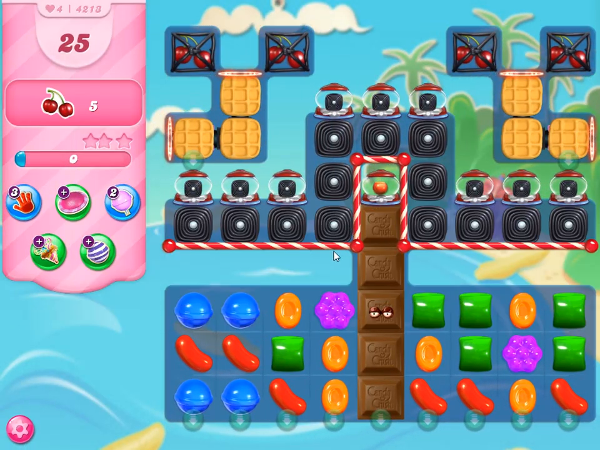 Then make special candies and combine special candies to break remaining chocolate, to feed candy frog to break remaining liquorice locks, waffles and to bring down remaining ingredients to complete the level.